Welcome to the portal of EURAXESS Germany! We provide information and assistance to mobile researchers – by means of this portal and with the support of our national EURAXESS Centres. This portal contains practical information concerning professional and daily life in Germany, as well as information on job and funding opportunities. 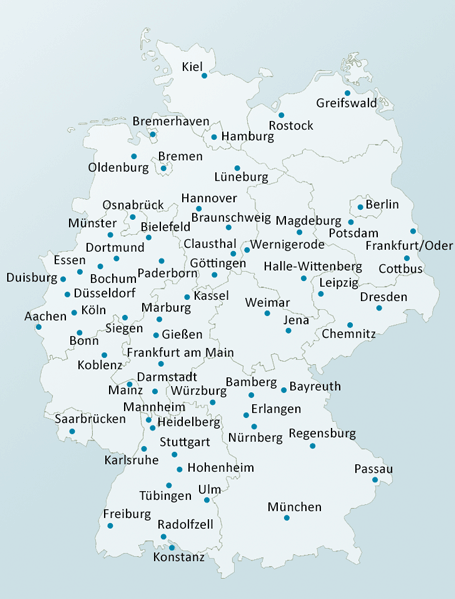 The German EURAXESS network currently includes 85 EURAXESS Centres which are located at universities and research institutions. They offer professional counselling for visiting researchers at their institutions. In the list of local EURAXESS Centres, the local counselling offices can be found.